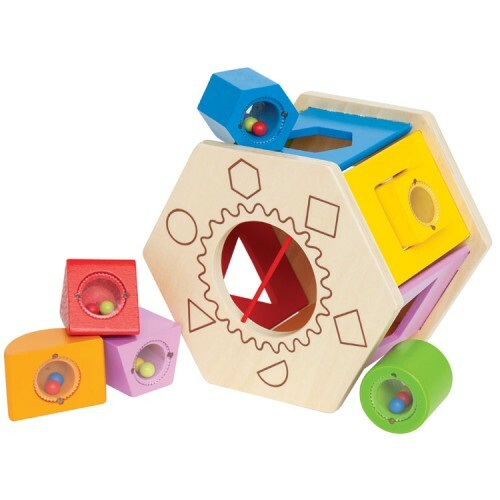 Hape Shake & Match shape sorting playset features a 6-sided wooden shape sorting toy with slots to fit 6 various shapes, each making a different fun sounds. 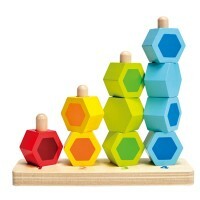 Hape turned a classic shape sorter into a whimsical modern toy for tots. 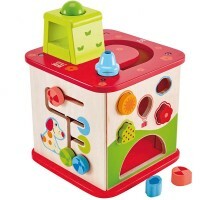 Shake & Match Shape Sorter Toddler Multi Activity Toy features a 6-sided wooden shape sorter with slots to fit 6 various shapes. 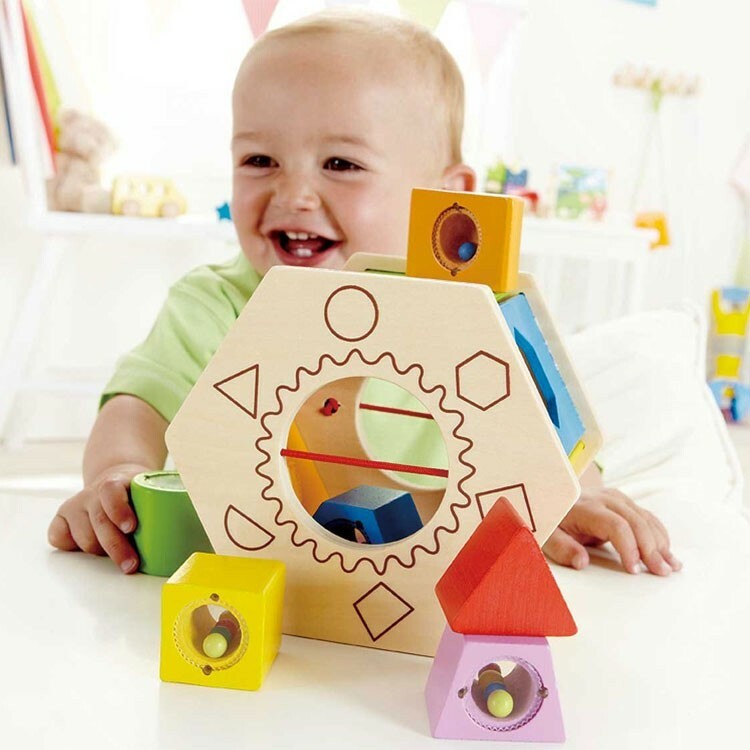 Find the right cutout window to fit a circle, a triangle, a star, a trapezoid, a square and a half circle inside the sorting box and be amazed by fun add-ons of every wooden piece. 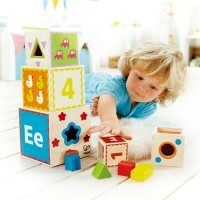 Shake the colorful wooden blocks from Educational Toys Planet to hear the different rattling sounds. 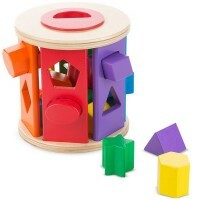 The transparent center of each block contains large plastic beads that safely secured inside the shapes. 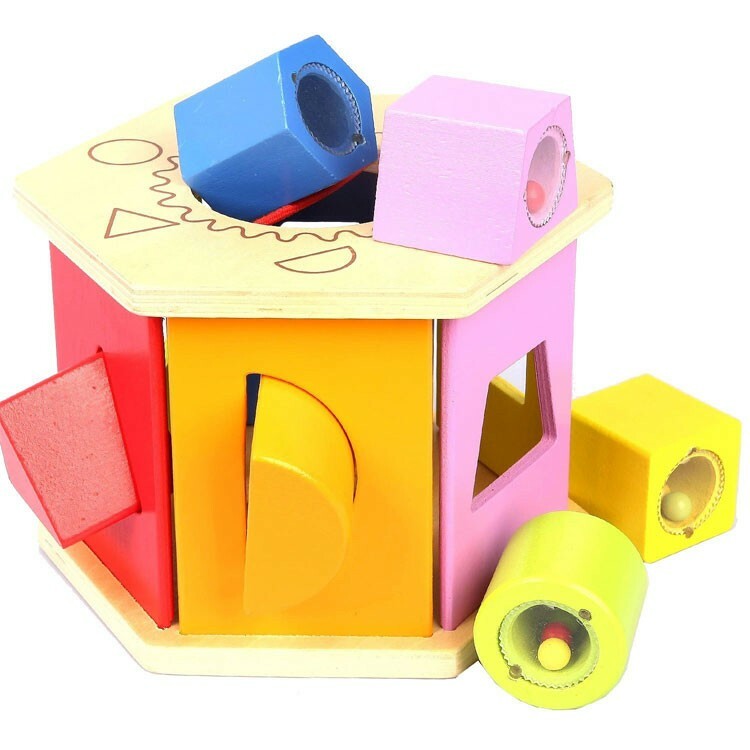 The wooden shapes from this manipulative toy can be easily removed from the sorter by stretching the orange elastic at the top or bottom. 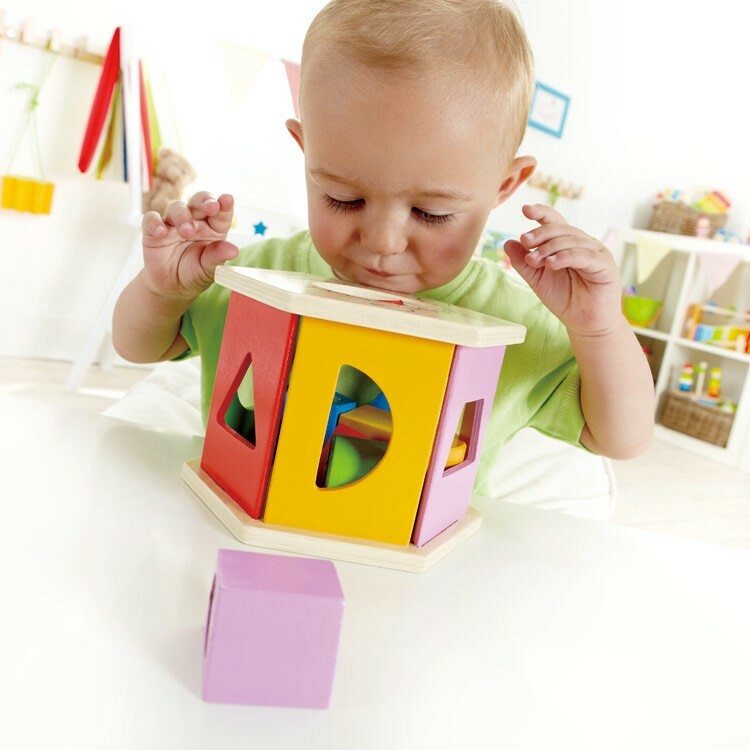 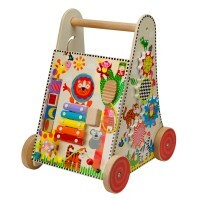 Shape Sorter Toddler Multi Activity Toy is quality made from Baltic Birch plywood and hardwood and finished with non-toxic child-safe paint. 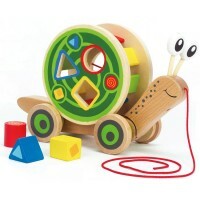 Shake, rattle, sort and learn with this terrific developmental toy for the youngest kids. 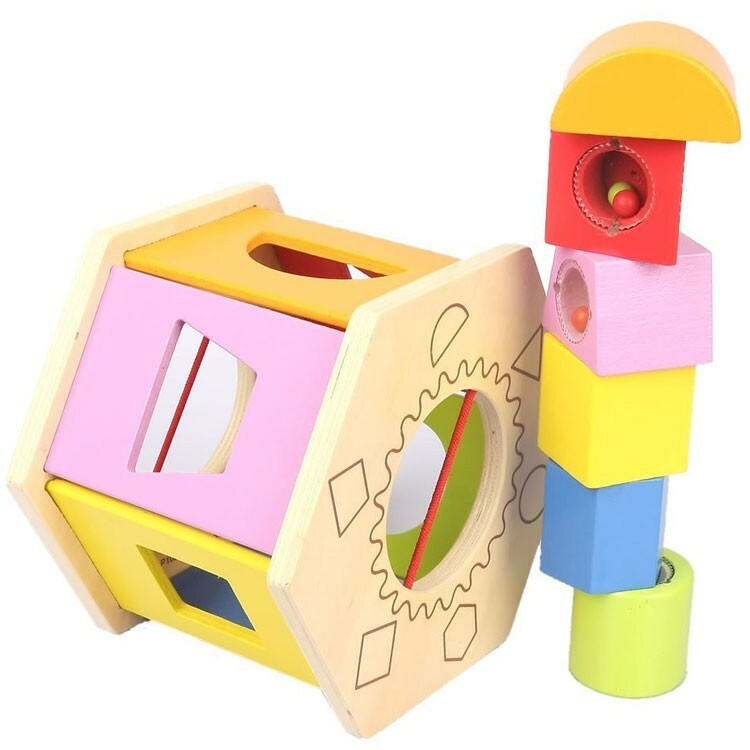 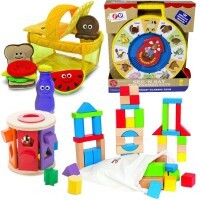 Dimensions of package 6" x 6.7" x 4.7"
Write your own review of Shape Sorter Toddler Multi Activity Toy.